Louis Napoli is an attorney who puts your needs, desires, and concerns at the forefront of the representation. You are the focus; and personal service, results, and client satisfaction are the goal. Louis has a passion for helping people, and his strong work ethic and desire to make difficult decisions and situations easy and understandable for people drive his firm. Louis graduated from Columbia College (New York, N.Y.) with a degree in Economics and Philosophy in 1983. He then went on to graduate from New York Law School in 1986. Louis became a member of the New Jersey Bar in 1986, a member of the New York Bar in 1987, and a member of the California Bar in 1988. 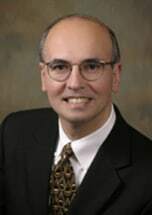 Besides being a member of the Estate Planning, Trust, and Probate Section of the State Bar of California, Louis is member of the Marin County Bar Association, the Marin Association of Realtors (currently serving on the Governmental Affairs Committee), Mission San Rafael Rotary, UNICO National (currently President of the Marin County Chapter), Cristoforo Columbo Club of Marin, and the San Rafael Chamber of Commerce (currently serving on the Education and the Advocates for Housing and Economic Development Committees). Louis is also currently serving as the co-chair of the Marin Bar Association Probate and Estate Planning Section, and is also a member of the Real Estate and Family Law Sections of the Marin Bar Association. Louis is a graduate of the San Rafael Chamber of Commerce Leadership Institute, and is a member of the Marin Justice Center Committee of the Marin Bar Association. Louis has also donated his time to work with Hospice by the Bay, Legal Aid of Marin, the Marin County Legal Self Help Center, the Marin County Superior Court Pro Per Calendar, and he has been an Alternate Juror for the Marin Civil Grand Jury. Louis is married and has two children. He resides with his wife and children in San Rafael, California. Louis Napoli employs a practice methodology whereby he maintains relationships with numerous professionals, in fields both within the legal profession and outside of it, in order to address client needs and ensure that the best possible representation is afforded the client. This often includes engaging specialized transactional or trial counsel, or engaging professionals such as mediators or others in order to resolve issues or settle claims. Please call Louis Napoli directly at (415) 578-1892, and leave a message if necessary. We will contact you as soon as possible. You can also e-mail us through this profile or Web site.